WATERVILLE — Thomas College and the Mid-Maine Chamber of Commerce will host a Business Breakfast on Legislative Overview, 7:15-9 a.m. Thursday, Jan. 11, in Spann Student Commons Summit Room on Thomas College’s campus at 180 West River Road. Maine State Chamber President and CEO Dana Connors will speak on law-making issues as they relate to businesses such as workers’ compensation, human resources, taxation, environment and education. As the leader of the state’s largest and most diverse business association, Connors oversees a broad range of activities, including advocacy efforts, economic development initiatives, workforce development initiatives and a wide variety of member services for the business community. A Maine native, Connors received a bachelor’s degree in public management from the University of Maine in 1965. 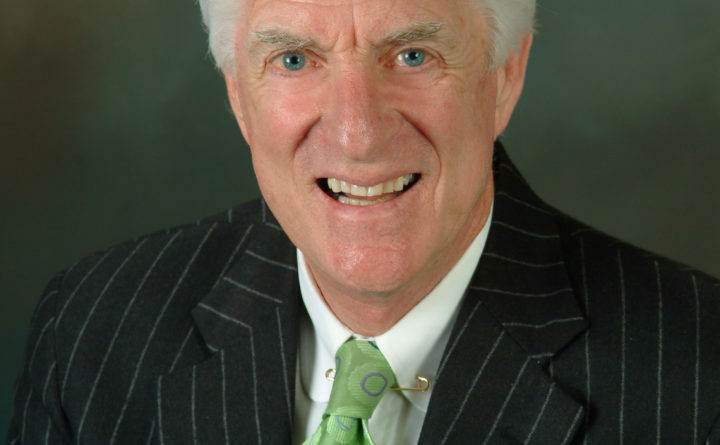 He began his career as the city manager of Presque Isle and later served as Commissioner of Transportation under two governors and as leader of Governor Angus King’s transition team before becoming president of the Maine State Chamber of Commerce in 1994. He has received numerous awards for his service and leadership. The 2018 sponsors for the Business Breakfast are AT&T; People’s United Bank; Nicholson, Michaud & Company; O’Donnell, Lee, McCowan & Phillips, LLC; Cross Insurance; the printer sponsor Morning Sentinel, a division of Maine Today Media, Inc. and radio sponsor MIX 107.9. About Thomas College: Founded in 1894, Thomas College offers undergraduate and graduate degrees in programs ranging from business, entrepreneurship, and technology, to education, criminal justice, and psychology. Its Guaranteed Job Program, the first of its kind in the nation, is built on student’s academic, career, and leadership preparation. Thomas is also home to the Harold Alfond Institute for Business Innovation and the Center for Innovation in Education. Money Magazine recently ranked Thomas 23rd in the Country for adding the most value to their degrees, and data reported by the New York Times ranks Thomas in the top 15 percent of all college and universities in the U.S. for upward mobility of its graduates. For more information, visit www.thomas.edu or contact MacKenzie Riley at rileym@thomas.edu or 207-859-1313. About Mid-Maine Chamber of Commerce: is a not-for-profit organization dedicated to promoting and advocating for business prosperity and regional economic improvement. Its region includes the towns of Albion, Belgrade, Benton, Burnham, China, Clinton, Fairfield, Hinckley, Oakland, Rome, Shawmut, Sidney, South China, Thorndike, Unity, Vassalboro, Waterville, Weeks Mills and Winslow. For more information on the Mid-Maine Chamber of Commerce, including how to become a member, call (207) 873-3315 or visit www.midmainechamber.com.